My 3 year old daughter has a ridiculous memory. I know, all children are like little sponges at this age – they soak up any and everything they can! But our little Addy is smarter-than-the-average-bear. This kid knows her left from her right and can direct you which way to turn at each intersection to get from our house to church. She knows all of her letters and their sounds, plus how to spell and write her name. And as I was packing for the beach last month, she saw me pull out a flowered tank top that I’d purchased before our beach vacation last year. “Look Mommy! That’s the flower shirt you wore at the beach when I wore my purple sandals!” (Yes, she wore purple sandals when we went to the beach last year. She hadn’t worn or seen them since last September.) Oy vey, kid. Mommy and Daddy are in trouble. Do you remember the technique I used to cut out laminated shapes with my Silhouette? I described it very much in detail in this post about my bathroom labels. I used that same technique to print, cut, laminate, and cut these cards. Then I hole punched them to attach them together in a little book with a binder ring. They are so durable, even when my 8 month old has gotten them (and he’s in the everything-gets-chewed-on stage) the cards escape unscathed! Before you begin teaching the verse to your child, say it to yourself a few times and come up with a rhythmic, sing-songy way of saying it – almost like a little rap. Be sure to alter the pitch of your voice a bit so certain words are emphasized with higher pitches. Do it enough times to yourself that you know it well and will be consist in the way you say it to your child. Even a just few minutes one-on-one is enough to introduce the verse to your child. I like to talk about it together first before we jump right into memorizing it – I explain any new/unfamiliar words and what the verse as a whole means. I also ask her a few questions about it to be sure she understands its meaning. 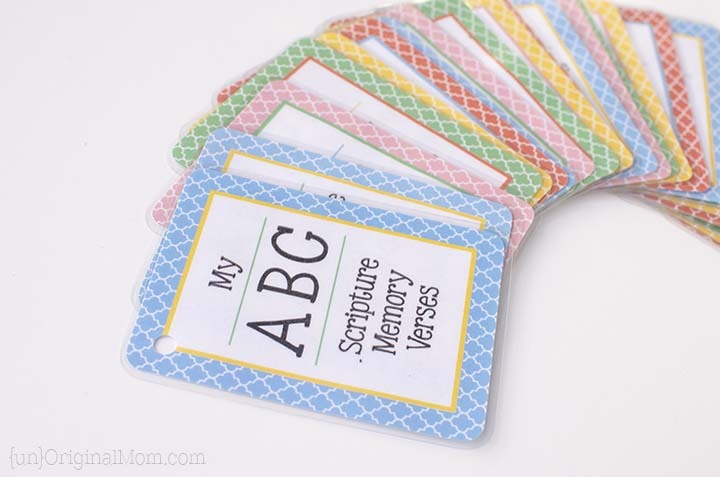 You can use the introduction of the verse to work on letter recognition and letter sounds, too! We always sound out the first word in the verse together. When it comes time to actually teach the verse, break it into one or two word chunks and have your child echo you. Be very careful that they’re saying each word accurately at this stage – if they flip flop words and say it incorrectly a few times in a row, it will be very difficult to re-learn it the right way. If they lose interest, that’s okay! Don’t force it on them. You can either revisit the verse again later, or see if they’ll continue to echo you as they play with something else. At this point, it’s just a matter of rote memorization which they can probably do while they’re doing other things. In fact, even if they won’t repeat after you, you can continue to say the verse over and over while they play. Subconsciously, they’re still hearing it and learning it! Be sure to go back and review your previously learned verses each time you learn a new one! It will be easy for them to start mixing up verses – especially the references that are from the same book – once they know a handful. I like to review our verses in the car – it’s a time when you’ll have their attention and you can work more on that rote memorization together! I’m finding the best part about this process is that I am committing the verses to memory as well! I’ve never been very good at scripture memorization, but I know at the end of this I will know all 26 verses just as well – if not better – than she will! So, a bit about the printables – I created them to use with my Silhouette, but you certainly don’t need a Silhouette to print them! Just download the PDF file and ignore the weird symbols in the corners (those are registration marks for the Silhouette machine to read and know where to cut). 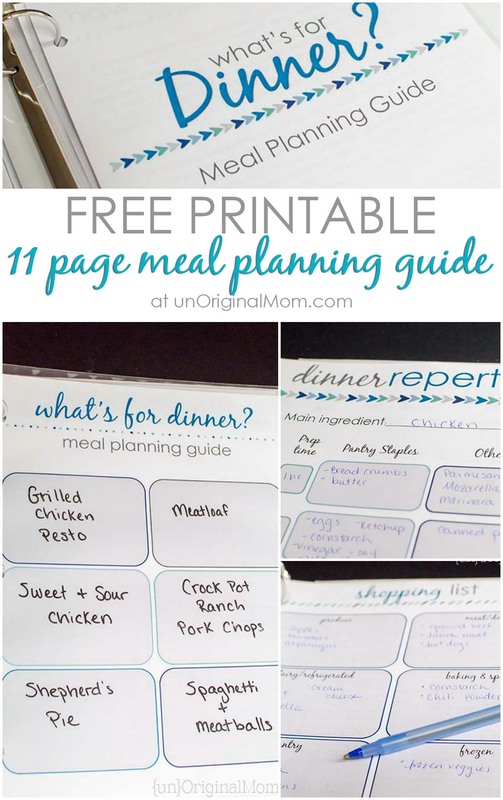 Print it on white card stock, and you can either cut the rounded rectangles out by hand or use a paper cutter/trimmer to cut a bit of the borders off and make regular rectangles. These cards are free for personal use only. I’d love for you to follow along via email, Facebook, Pinterest, or Instagram in exchange for the download – thank you! 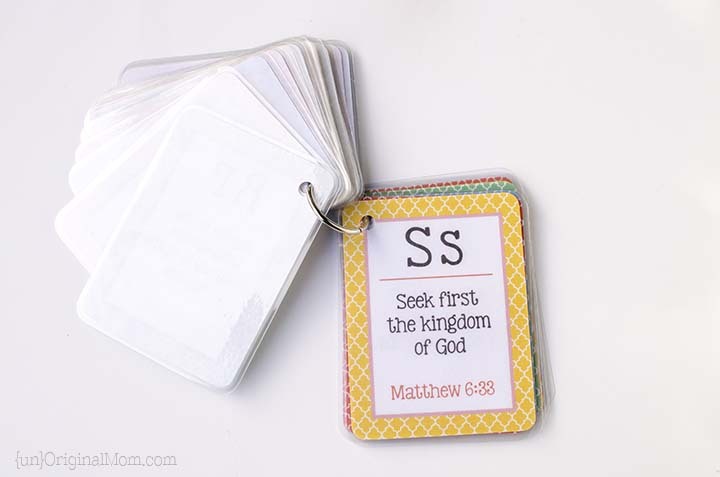 If you have a Silhouette, I have two different cut files for you – neither one of them includes the scripture card images! They are just the cut lines. You’ll need to download and print the PDF file first (using the link above), then use one of the cut files below to cut out the cards. Silhouette file for use WITHOUT laminating the cards – download this file to cut the cards after you’ve printed them on white card stock. Silhouette file for use WITH a laminator – if you have a laminator and would like to have each card laminated and cut uniformly, this is the file you should use. Print the PDF file, then use this cut file. There are instructions in the cut file, but make sure you visit this post to check out the tutorial on how to do it. 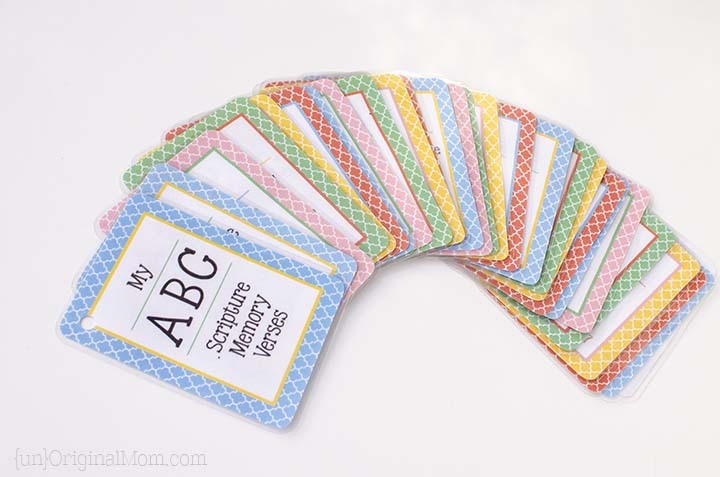 If you use the cards with your child, I’d love to hear about it! Please leave a comment or send me an email! 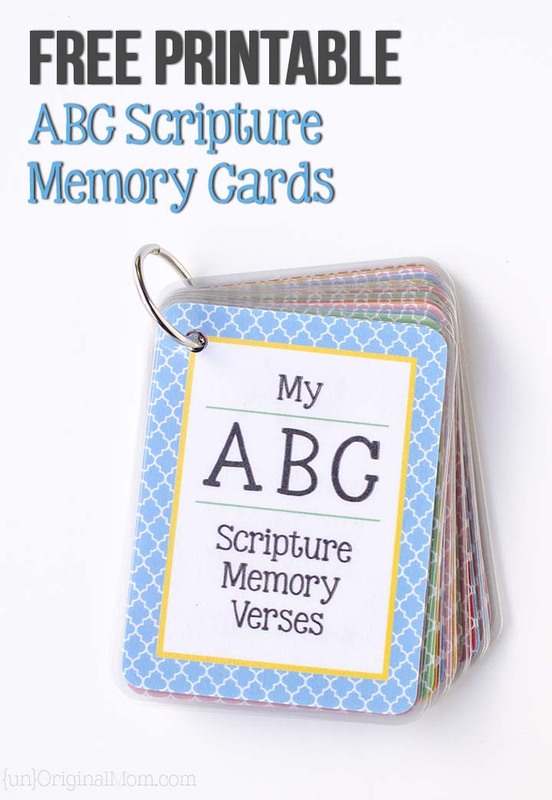 Are you already working with your child to memorize scripture? Please share any tips you have in the comments below! Wow, your daughter is way ahead of the class. Congrats! I can’t wait to print these out and share them with my 2 and 4 year-olds. Thank you so much for sharing these with us. Love. Thanks for the free download. Going to make a set for my Great grandson. 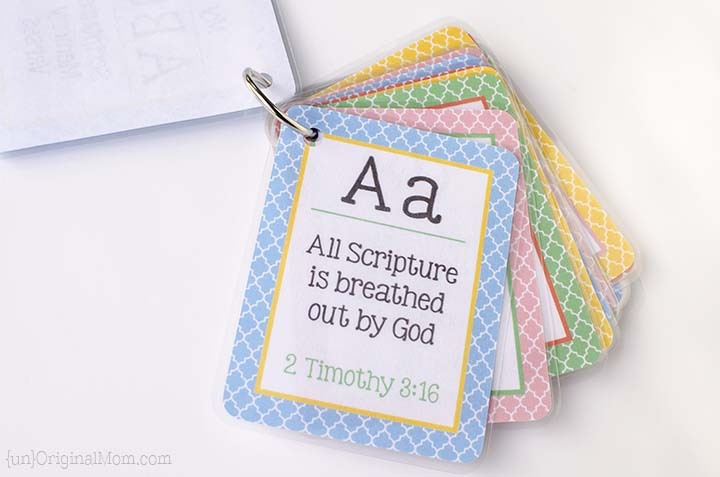 And also for the Little one’s at church who stay in class as adults go to mass.They are so cute. Downloaded my with no problem. God Bless You. So glad to hear that, Terri!! Hope they bless you and the little ones! Hello, I’m having a hard time downloading these. Is the link working for everyone else? Hi Kayde, are you trying to download the PDF link? 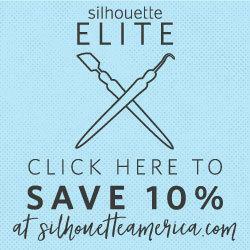 (There are two other links for .studio files that will only work with a Silhouette). The PDF link is working for me so I’m not sure what the problem might be. If you are still having trouble, let me know and I can email it to you! Hi Amy, that’s the correct link and it works for me. Maybe it’s a glitch on box.com? Sorry for the trouble! I will email you the file now! Meredith – I apologize…am unable to download the pdf, as well. Could I possibly get them emailed? Sure thing Debbie! Sorry for the trouble. I switched it to being hosted on my site, so hopefully no one else will have any problems! The pdf download link worked for me!! Hello! I’m having trouble with the PDF file. It’s only loading and printing some of the pages. I’m not able to print pages 2-4. Is there any way you could email me? Thank you! 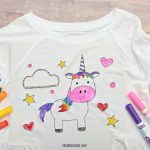 Thank you for the free printables – I love it! Hi. 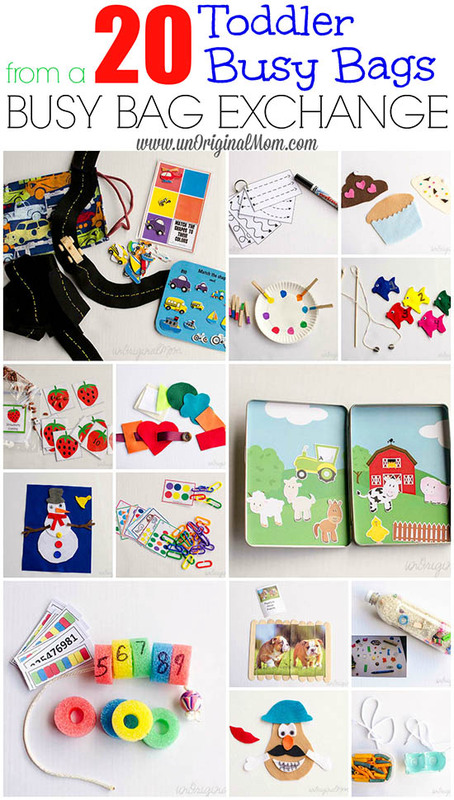 I would love to use these with my three year old. I think they are awesome! Only problem is the link doesn’t work. I see from the comments you have emailed them to other followers. Is that a possibility? Thanks. Hi Jenni, are you trying to click on the PDF download or the .studio download? If you don’t have a Silhouette then the .studio file won’t work for you, you’ll need just the regular PDF. Some folks were having a problem with the download link originally but I’ve since switched it around and it seems to be working fine on my end now…if you’re still having trouble, though, let me know and I’ll be happy to email it to you! Hi! I love these for my 1st Grader!!! Thanks for sharing! Do you have a file with each verse in 1 page? I want to post it on our wall so my son will always see it. Thanks! 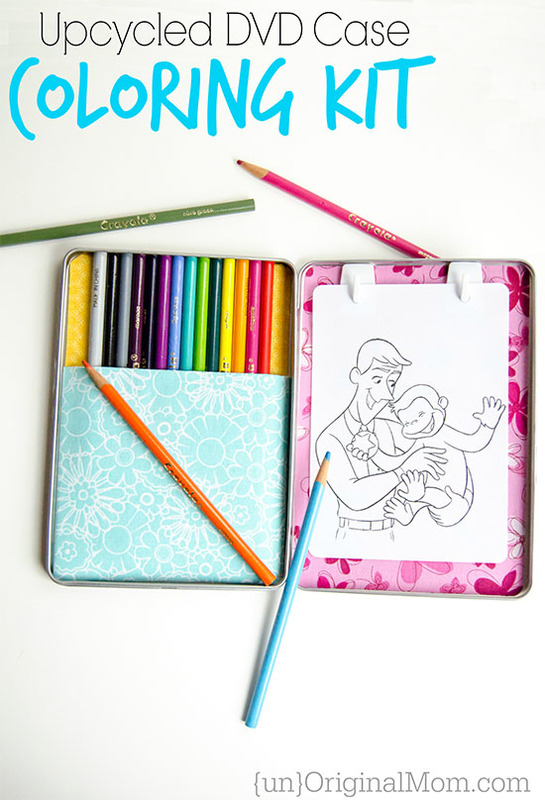 Hi Bituin, sorry I don’t have a file like that, but I love that idea! 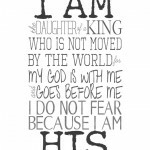 I just downloaded your file today and cannot wait to get started on these verses with my 3 yo daughter. Maybe my almost 2 yo son will catch on as well! Thanks so much for putting this together for us parents who are trying to sow Truth from a young age. Bless you! Oh I’m so glad to hear that!! You are very welcome, it’s my pleasure…I’m just glad that other parents out there like you can (and are) using them too! Hi there! Love the cards. 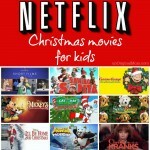 I have been wanting to try something similar with my children. I would love it if one day, when they need it, a memory verse they learned this way came to their mind a the right time. I had a question for you. I have older children, ages 6 and 10, and loved your borders but wanted to use different (longer) verses on some of the letters. Is there a way I can edit your file to change out the verses? I’d appreciate any help you can give! Thanks Jane! No I’m sorry, the files are PDFs and can’t be edited. I would like to use these cards with a group of people we meet weekly for Bible stories. The are residents of a facility that services those needing memory support. These cards will be a blessing. So i don’t have a laminator but could i use laminating sheets and it would be the same process as if i had a laminator with my cameo? Can I use these to print out for my kids at church? I LOVE these memory cards. Thank you SO much for providing them for free! I use a Cricut machine which I know is like the Silhouette. 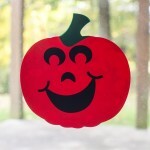 I was wondering if you know if anyone has created a cut form for the Cricut like the one you have for your Silhouette. I am having trouble getting things to line up and cut them correctly. Sorry Sandra, I don’t know of any…I’m not familiar with the Cricut software to be able to know how their version of print-and-cut works :-/ You could always print and cut out the PDF by hand, or try to load it into your Cricut software and add your own outlines somehow? Sorry I can’t help more!